In case you are a blood pressure (BP) patient and are on BP drugs, this is what you should not miss. A recent study has shown that long-term use of certain blood pressure drugs that are widely prescribed by doctors may put you at a greater risk of lung cancer. The study has been published on Thursday by the BMJ. According to the researchers, while the risk for individuals is comparatively lower, it could accumulate into large number of patients with potential risk of lung cancer. 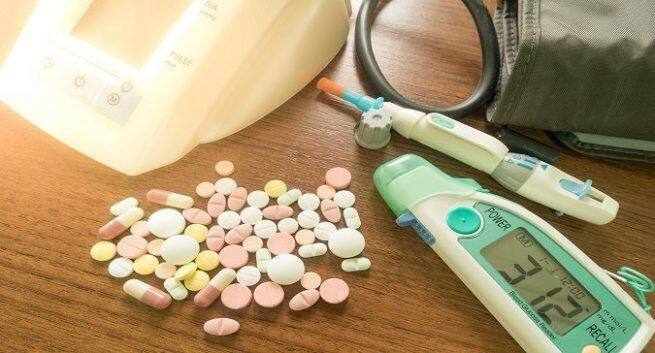 The study has found that use of angiotensin converting enzyme inhibitor drugs (ACEIs) to reduce blood pressure can be linked with an increased chance of developing lung cancer compared to another group of blood pressure drugs called angiotensin receptor blockers (ARBs). Not just this, the researchers have also seen that ACEIs are pretty widely prescribed for controlling leaping blood sugar and this can increase the absolute number of patients at risk of lung cancer. The study has highlighted the proofs that show that prolonged use of ACEIs may result in building-up of protein-like chemicals called bradykinin and substance P in the lung. These chemicals have not only been obtained in lung cancer tissues, but bradykinin may also directly enhance the growth of lung cancer.